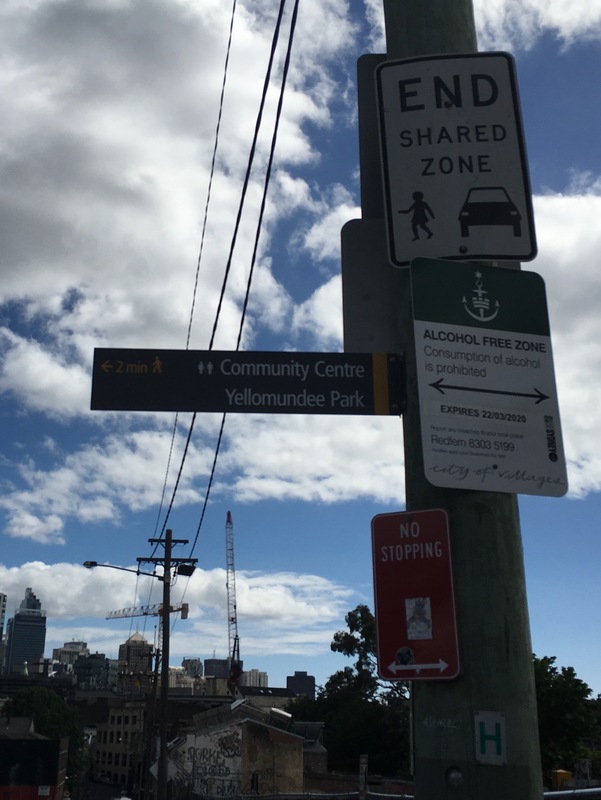 Lately a bunch of new wayfinding navigation signs have been popping up in the City of Sydney. These are not just in the downtown area either, but out in the neighborhoods. The general idea is great, and makes the city far more useful than it otherwise would be to non-locals (and signs, after all, are for people who don’t already know where things are), especially pedestrians. I do have some question about the execution. 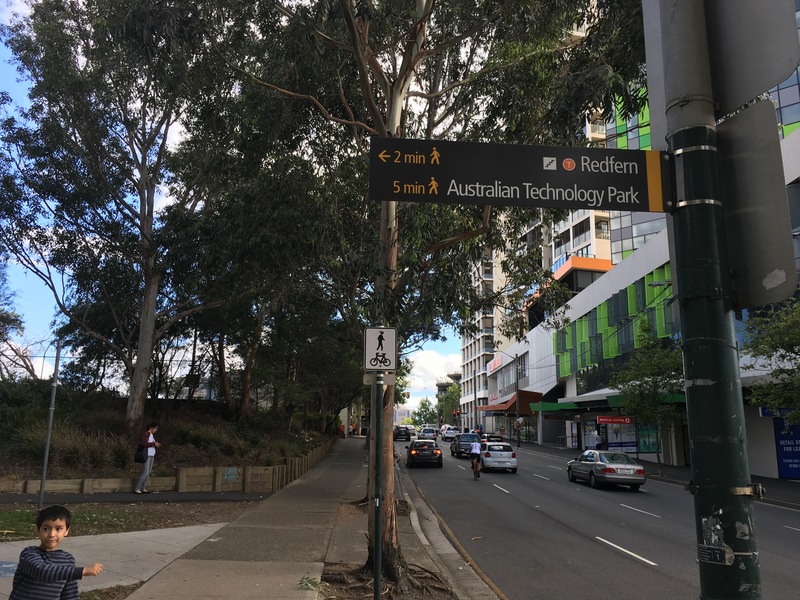 For instance in the Redfern Station sign shown, it tells us Redfern Station is 2 minutes to the left. (and is a transit station, and requires stairs). This is true, but less useful than saying it is 2 minute straight ahead, which would also be true, and get you to the front of the station, where you can easily access all of the platforms, not just the back of the unused platform 10. (We will discuss it being next to a four-lane one-way street in another post). However the second, Yellonundee Park sign lets us know where there are men’s and women’s rooms, which is extremely useful information at certain times, that might otherwise be unavailable. As far as I know, Google Maps does not surface this information. There are of course toilet finder apps, but these are incomplete. I have not seen a GTFS-like standard, General Toilet Feed Specification.